September is Honey Month in Virginia. 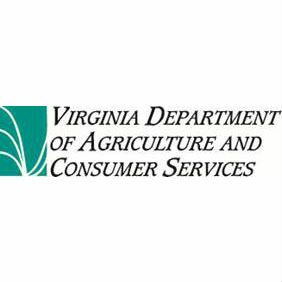 Some may ask, “Why honey?” or “Why September?” The Virginia Department of Agriculture and Consumer Services (VDACS) has ready answers to those questions. Honey production and its correlative service, pollination, are integral parts of the agricultural industry. Important Virginia crops such as apples, tomatoes, cucumbers, squash and strawberries are dependent on pollinators to fully develop their fruits. Production of other crops such as soybeans, sunflowers and even peanuts receive benefit from pollination by honey bees and other insect pollinators. In fact, pollination by honey bees contributes more than $15 billion to the value of U.S. crop production each year. Governor McAuliffe proclaimed September as Honey Month because much of the honey in Virginia and the U.S. is harvested during September. As other crops wind down, honey harvest ramps up and September is a great time to findlocal honey at farmers’ markets, festivals and other local celebrations. Meaderies are located in Northern, Central and Tidewater Virginia, with new ones being added regularly. Tignor suggests that one of the most helpful things consumers can do to help sustain Virginia’s honey bee population is to plant a pollinator garden with a diversity of nectar and pollen sources, or to become a beekeeper. The Virginia State Beekeepers Association can help by suggesting a local group to answer questions or mentor a new beekeeper. So celebrate with gusto. If beekeeping doesn’t suit, then a tankard of mead may hit just the right celebratory note.